At Surf Meds Caribe, we want to teach our clients how to confront and conquer their fears, how to develop patience and confidence in themselves, and how to discover their own inner strength. We’re doing all this by encouraging greater observation, care of, and interaction with nature. Our company is comprised of locals who know and love the Puerto Viejo/Manzanillo area and are thrilled to share our knowledge and passion with everyone who visits us. Partnering with Surf Meds Caribe means that you’re supporting the local economy and we’re teaching our clients respect and care for our environment. We open our doors to everyone ages 3 and up, so they can share and discover the fascinating world of surf. 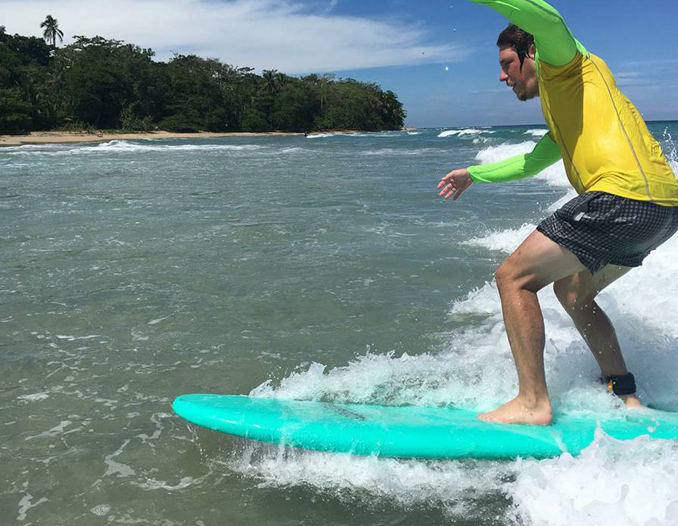 The activity of surfing helps people improve their physical, mental, and emotional well-being, gives our clients a sense of achievement and greater control over their own lives. This creates a lasting positive impact, not just on our clients, but on the natural world that surrounds us all. 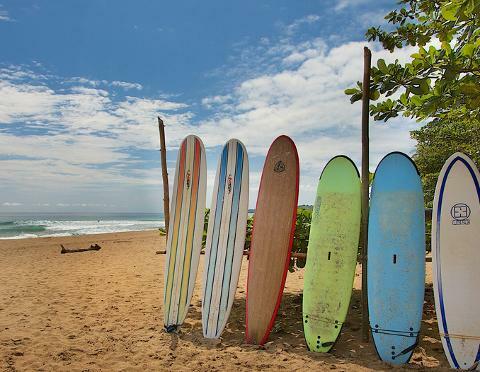 Come join us for group or private surf classes.